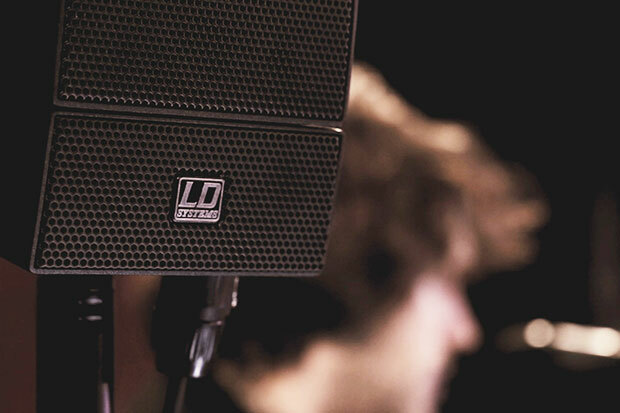 When a touring band opts for the LD Systems® CURV 500®, it’s interesting to find out exactly why they chose this system. “We’ve been touring Germany for the last three or four months now and we were looking for a system that was convenient for us in terms of portability and, obviously, sonically”, comments musician Tarq Bowen in an interview with the Adam Hall Group. The English group Tarq Bowen & Band played their latest single ‘Can’t Buy My Soul’ to the audience in the Wiesbaden bar ‘Das Wohnzimmer’ (‘The Lounge’). And they did so using the powerful CURV 500® Power Set, which can provide sound to far more than just a ‘lounge’ with its two subwoofers, eight satellites and pure 920 watts RMS. Tarq Bowen & Band means Tarq Bowen (vocals/guitar), James Macphail (bass) and Will Stokes (drums). Their musical direction is based on a mixture of folk, country and blues and is inspired by famous musicians such as Tim Buckley, Jim Morrison and Ray Charles. The best way to describe their musical style is rhythm & blues. The Adam Hall Group’s Video Producer Christian Schaad didn’t just make sound and image recordings of the band’s performance and interview the band members, but has also condensed the results into a just under four-minute video, which you can watch below. 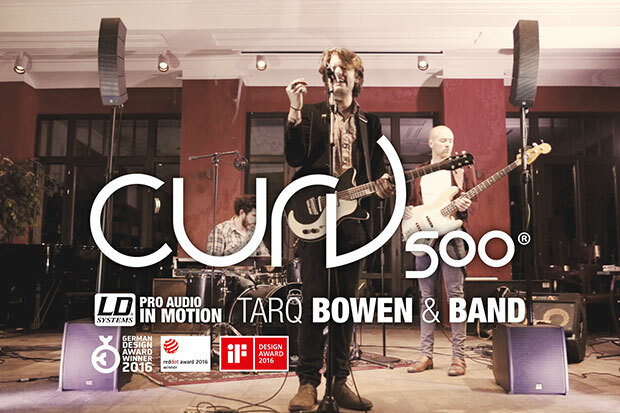 For Tarq Bowen and his band, the CURV 500® has certainly been the right choice. 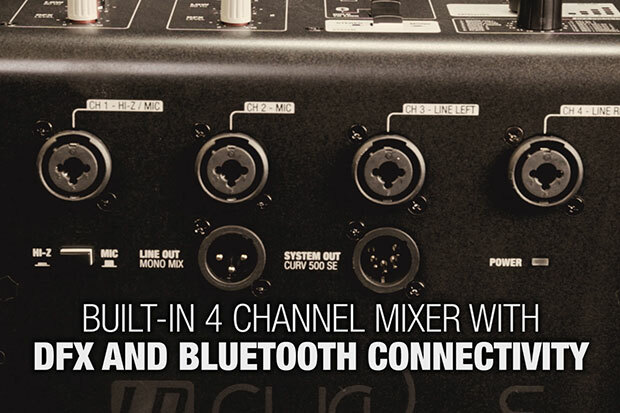 After all, the highly innovative compact system not only uniquely combines perfect sound and ease of use in a fully scalable system, but also offers them precisely the portability and simple handling they need for their performances. Bowen: “We’ve taken it to gigs, big and small. The sound has delivered every time. You can use the CURV for house parties, small venues… We’ve used it for up to 120-person capacity venues”. “You want something that’s curved! You want something all-round, which is what the CURV delivers.” I don’t think we could have put it any better ourselves!